Your baby’s first year of life often simultaneously feels like the longest and shortest year of your life. You’ve seen them grow and change so much over the last year, and it’s hard to believe twelve months have passed. A baby’s birthday is a sweet and happy time, and there are lots of ways to celebrate. Many first birthday parties and celebrations are more for the sake of the parents than the birthday child. However, there are special ways you can celebrate your baby’s first birthday that he or she will also enjoy. While a photo shoot may not sound like something that will thrill your child, not all photo sessions need to be posed. To capture your baby’s first birthday, consider hiring a photographer for a lifestyle shoot. This style of photography is often done in your home or another familiar and comfortable place. The photos are of your child doing all the things they love: playing with toys, reading with you, etc. You may also choose to include a “cake smash” series of photos. This includes giving your child a cupcake or small cake and watching him explore and enjoy it. The resulting messy and joy-filled photos are sure to become family favorites. Of course, the benefit of celebrating your child’s first birthday with photos is the preservation of this sweet event. Most children love animals, and there are plenty of opportunities to appreciate and enjoy as a family. Atlanta is home to both a high-quality zoo and aquarium that would be excellent places to celebrate your baby’s first birthday. Both locations host official birthday parties if you want to invite friends and family along. At the same time, your baby will be most excited to see and experience the animals with you. With this in mind, a family trip to the zoo or aquarium can be a sweet way to celebrate your baby without the stress of planning a party. Many birthday parties serve food in a buffet style. For your baby’s first birthday, why not create a buffet of all their favorites? This will not only thrill your child, but it is also a fun and silly way to help your guests get to know your baby a bit better. Does your baby love bananas, crackers, green peas, and blueberries? Then that’s what’s on the menu! You can take this idea even further by serving drinks in sippy cups, handing out squeeze pouches of applesauce, and having your guests wear bibs. It is likely that these little touches will thrill your baby and gain you some birthday giggles. Not only is outdoor time incredibly good for people of all ages, but babies are especially thrilled to spend time with loved ones in nature. If you are looking for a low-key way to celebrate your baby’s first birthday, consider planning a family hike or picnic. If your child likes the playground, you could invite friends and family to meet you at a local park and celebrate there. Even just taking a walk and picking flowers will be fun and special for your baby. 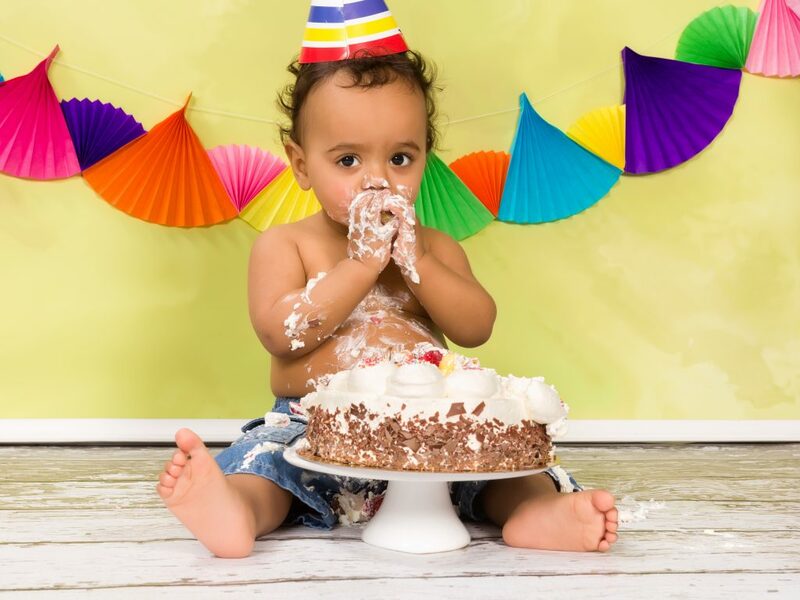 You may want to throw a huge party to celebrate your baby’s first birthday! Many parents do. However, that sort of celebration is certainly not necessary and may even overwhelm your small child. If a smaller or more age-appropriate event is your hope, one of these suggestions should fit the bill. Are you looking for childcare where the staff supports families through all milestones? Consider Legacy Academy Berkeley Lake. Call or visit today for more information.